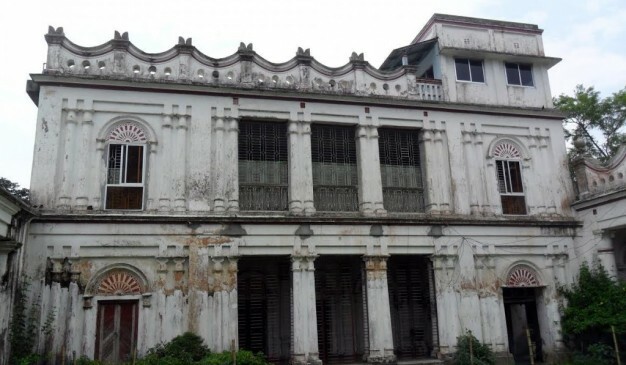 This Zamindar Bari (জমিদার বাড়ী) is currently known as Manob Babur Bari (মানব বাবুর বাড়ী) as the current owner’s name is Manab Babu (মানব বাবু) who is the last descendent of the Gangatia Zamindar (গাংগাটিয়া জমিদার). Manob Babu (মানব বাবু) has fisheries project near from his house. You can also visit the project with its owner if he is available. According to the Manob Babu (মানব বাবু), they are the possible smallest Zamindar (জমিদার) from the Bangladesh. Their forefathers came here from India, a Brahmin family (very strictly following Brahmin). During the war of 1971, the Pakistani armies and their Bangladeshi allies have done lot of damage to their house. Right now he is living there with his wife and sister. Neither he nor his brothers (all his brothers are passed away) have any children. Gangatia Zamindar Bari (গাংগাটিয়া জমিদার বাড়ী) is mainly a small house that is having an array of Roman styled columns at the front. The architecture and the style of the building from the front side is amazingly beautiful. Very few travelers use to visit here. This Zamindar Bari (জমিদার বাড়ী) is a small one, but it has a massive boundary. The front door is also decorated and stylish. (গাংগাটিয়া জমিদার বাড়ী). 1) Take a battery driven vehicle from the Bottoli (বটতলী) of Kishoreganj (কিশোরগঞ্জ) town. It’s around 20 taka per person. It takes around 25 minutes to reach near Gangatia (গাংগাটিয়া). GPS Coordinate of the tempo stand is (24°26’29.65″N, 90°46’36.86″E). Dropping zone to leave the battery driven vehicle is (24°27’14.96″N, 90°42’8.58″E). 2) You’ll find nothing here. So start walking by asking direction to the local people (10/12 minutes of walking), also you can take rickshaw if available. They know this as Manob Babur Bari (মানব বাবুর বাড়ী). GPS Coordinate of the Manob Babur Bari (মানব বাবুর বাড়ী) aka Gangatia Zamindar Bari (গাংগাটিয়া জমিদার বাড়ী) is (24°27’45.63″N, 90°42’11.82″E). 4. Bus Stand: Bottrish, Kishoreganj. 5. Eshakha Super Gate Lock. It would be a great adventurous travel toward the Zamindar Bari, for seeking the exact information about its history. Also, taking pictures to share with others will be such a credit. You can find many restaurants here, or referred to where to eat in Kishoreganj District, click here. Dhanbari Nawab Manzil (ধনবাড়ি নবাব মনজিল) is locally known as Nawab Bari (নবাব বাড়ী). 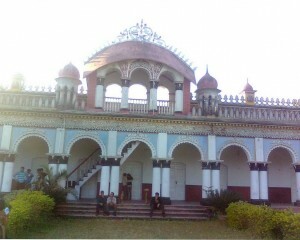 This is now owned by the descendants of Nawab Ali Chowdhury (নবাব আলী চৌধুরী). They have been taking a good care of this palace and also built several cottages inside the premise for the tourists for staying. This is the only heritage resort from our Bangladesh. This is also known as Dhanbari (ধনবাড়ী) Royal Resort. Inside the premise is very much neat and clean, adequate amount of stuffs and guards are around there to take care of everything. 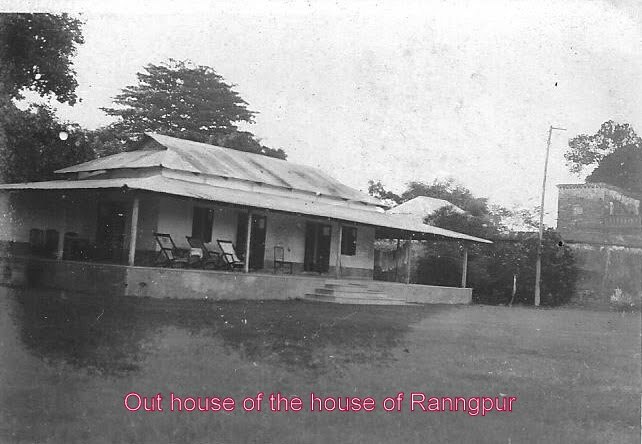 Most of the Zamindar (জমিদার) mansions from Bangladesh were owned by the Hindu Zamindar (জমিদার). After the division of the country during 1947, and also later 1971, most of those powerful owners were coerced to leave the country, or cringed away to avoid the secular vandalism. Which results their mammoth mansions left unprotected. Later government has taken control of few of those buildings and used as their official purpose (which are still in a presentable state). But others are in total ruin by now a days for lack of care. But this Nawab (নবাব) Palace is totally different from those. As it was owned by the Muslim landlords, they didn't have to leave the country or had nothing to fear. They were powerful during their ruling period. And yet still they are powerful on that region now a days. That's why this palace is still in a very good condition and has been taken proper care to maintain its state. This palace was built by the Nawab Ali Chowdhury (নবাব আলী চৌধুরী) during 1919 to invite the British Lord Ronaldshay. He Came near Koyra (কয়ড়া) using the Steamer and had a reception with 30 elephants. [Reference: www.dctangail.gov.bd]. One of the decedents from the Nawab (নবাব) Family named Nawab Hasan Ali Chowdhury (নবাব হাসান আলী চৌধুরী) was the Industrial Minister during the reign of East Pakistan. Also he was a member of the Parliament during 1978. Later, after his death, his daughter Saiyeda Asheka Akbar (সৈয়দা আশেক আকবর) was the member of the Parliament during 1981. This information will give you an idea about their power and now you understand why the palace is still in a good condition. You'll require to buy a ticket for 30 Taka to enter inside the palace premise. Each ticket is valid for 2 hours of visiting. The area is highly secured and the stuffs and guards around there are very much friendly. No unauthorized entries are entertained there. So no one will bother you while you are enjoying the surroundings. 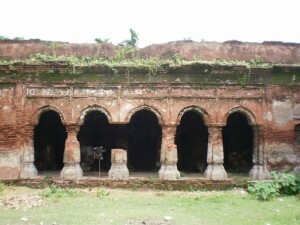 Bardhan Kuthi (বর্ধন কুঠি) is one of the historical places of Gaibandha district. It is situated near the Gobindaganj Upazila of Gaibandha. 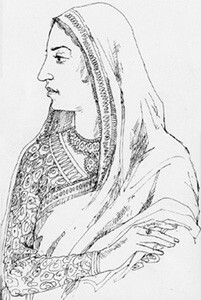 During the reign of British East-India company Raja Harinath (রাজা হরিনাথ) ruled the Bardhan Kuthi. During the separation of Indian subcontinent the last Ruler of Bardhan kuthi Raja Shoilesh Chandra (রাজা শৈলেশ চন্দ্র) Migrated to India from Bangladesh. 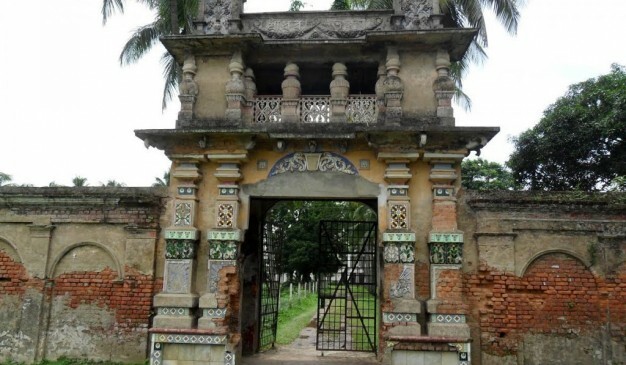 Due to the establishment of Gobindaganj college in this place, We can only observe the relics of Bardhan Kuthi. But it demands more research and discussion, By which we can discover the continuation of distinguish dynasty in Bardhan Kuthi. We may also reveal the valuable information of contemporary Zamindar’s and their lifestyle as well.